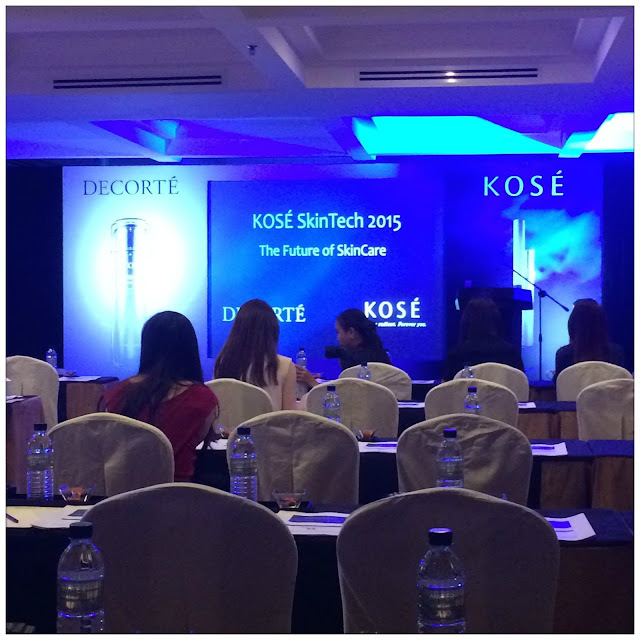 It was an honour to be invited to KOSÉ's SkinTech 2015 organized by KOSÉ Corporation and it was held at the beautiful Majestic Hotel last month. Media and guests who attended the seminar had a glimpse of how the future skincare would look like and also I've learned so many during the events and have more understanding towards KOSÉ Corporation products. It was really a fun and informative experience at the SkinTech 2015. First, Cosme Decorté is now officially known as DECORTÉ. 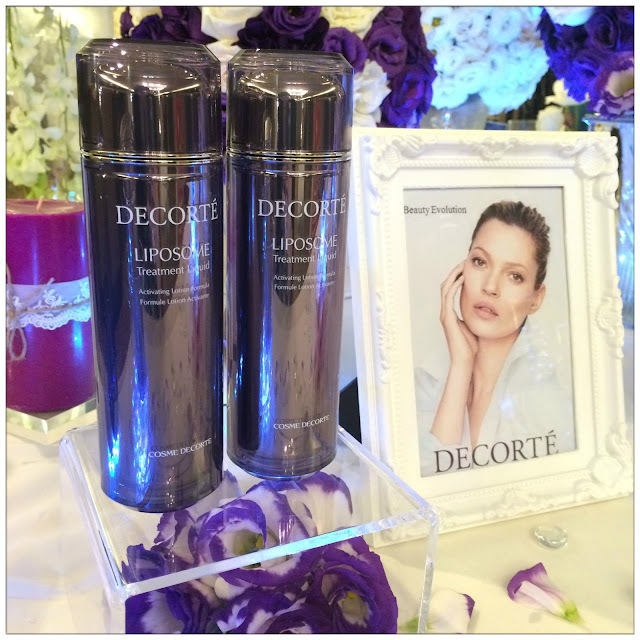 There are so many star products that make girls who are into beauty and skincare screaming and begging for more by DECORTÉ and yet they released another new product which known as Liposome Treatment Liquid and do you know who's the spokesperson? None other than the queen of modeling - Kate Moss! The all-time-supermodel Kate Moss is using Liposome Treatment Liquid too! This treatment liquid had a development period that was more than 10 years, can you believe that? And also, its lotion type is easy to spread on skin and absorb into stratum corneum (outer layer of epidermis layer) to maintain skin's softness and clarity, and also ensure permeability and also long-term stability of skin to prolong ageing period. Its bubble-like Activating Phospholipid has brightening effect and is high in ability to penetrate into skin, making even the deeper layer of your skin are able to absorb and implanted by the goodness of Liposome Treatment Liquid. One of the main factor of ageing is that our skin loses its holding power of moistrurization, this is why Liposome Liquid Treatment was invented - to enhance moisture holding capacity and also enhancing skin's clarity. By one month usage, some users can see significant result. It is indeed a beauty evolution presented by DECORTÉ. 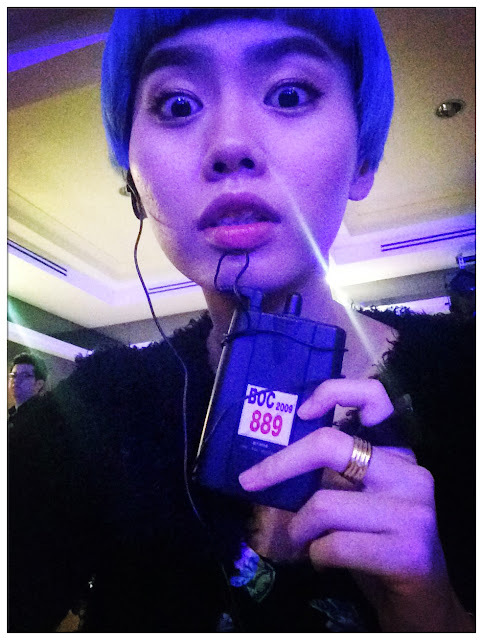 During SkinTech 2015, I was introduced by a new term - Kojic Acid Technology. Japanese gourmet and culture like me love rice wine, soy sauce and miso (fermented bean paste) but little did I know that all these are added with Koji. Koji is a specific type of mould spore that often occurs on steamed rice which forms the Kojic Acid, the latest star ingredients in few of KOSÉ's whitening skincare series which were also introduced during SkinTech 2015. 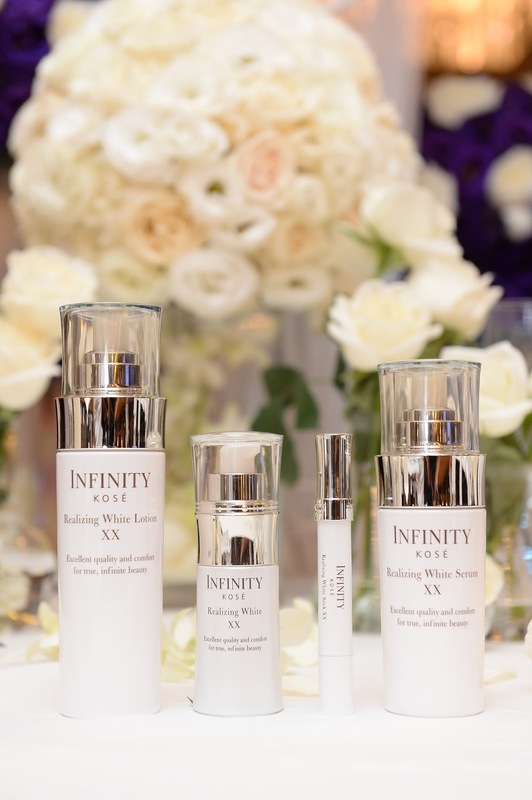 Both whitening skincare series contains Kojic Acid which was discovered by the Japanese in year 1907. A research on Kojic Acid was carried out on its whitening effects after observed that the hands of miso and rice wine makers appeared to be fair and bright and finally in year 1988, Kojic Acid was approved by the Japanese Ministry of Health, Labour and Welfare as legal whitening agent that can be used in cosmetics and beauty products. KOSÉ's unique fermentation using bio-technology method is able to obtain 100% pure Kojic Acid, and its naturally-sourced substance has smaller molecules compare to general whitening agents, and therefore products that are developed using this bio-technology has more effective skin-penetrating results too. First time listening to a live translation! 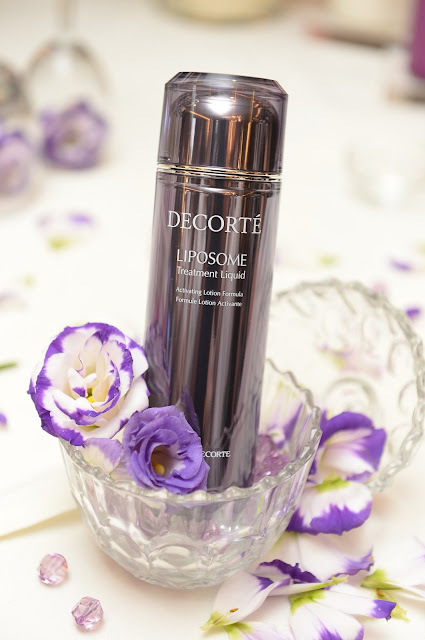 Dr. Noboru Naito, the Executive Director and Director of Research & Development Division in Kose Corporation gave us a thorough explanation of DECORTÉ's Liposome Treatment Liquid. 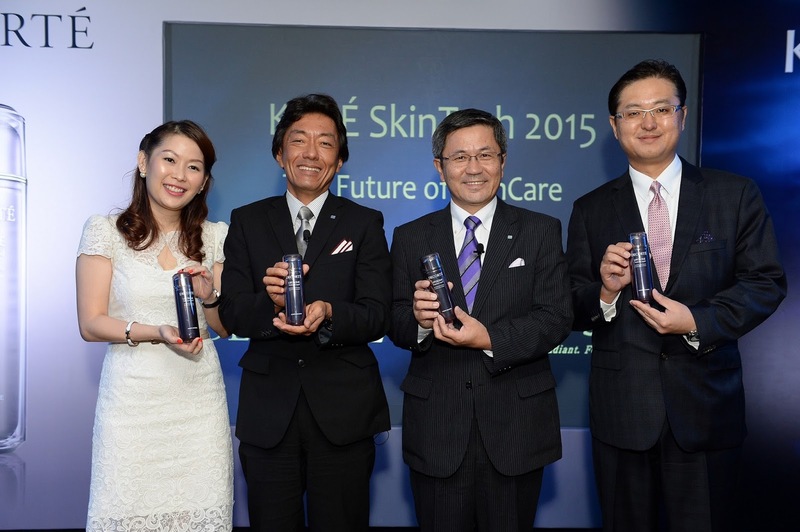 While Dr. Akinobu Hayashi, the General Manager, Advanced Cosmetic Research Laboratories in KOSÉ Corporation lead us through his research of Kojic Acid. I am amazed by all the efforts and hardwork research they've done in the field of beauty and skincare technology that resulted in one bottle full of goodness for the benefits of users. Their passion in searching for a more innovative and advanced technology in skincare and beauty industries has benefit many of the women globally. Can never thank enough to all these pioneers that has made retaining beauty in life easier than it was before. By creating the world's skincare essence in year 1975, then world's first powder foundation in 1976, four research facilities that are dedicated into innovating cosmetic culture, KOSÉ Corporation has indirectly improved lives of many women out there. Available in 17 countries worldwide and adding, with top-notch service and luxurious designs of products, KOSÉ Corporation has already conquer the future of skincare and will always forefront in changing and leading the game of skincare and beauty industry.